Health promotion is an increasingly high profile aspect of a nurse’s role – both in line with health policy and as nursing has shifted from a disease model to a health model. 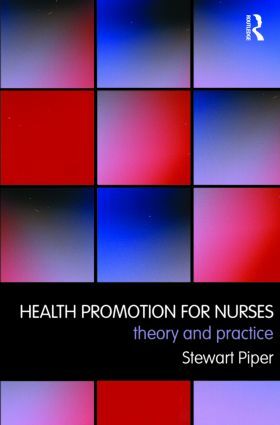 This textbook explores how and why health promotion works in nursing, developing a new framework for understanding the nurse’s role and promoting evidence-based practice. The book describes the aims, processes, impact and outcomes of health promotion interventions in nursing for each of these models and identifies criteria for evaluating the associated nursing interventions – enabling clinical judgements about effective practice. Evidence-based examples demonstrate the relationship between health promotion theory and pragmatic applications for nursing throughout. Each chapter includes an introduction, learning outcomes and exercises, making this an essential book for all nursing students studying health promotion.